A place for modern quilters to connect, share and create. We are re-vamping our on-line presence and have decided to move our blog to Orange County MQG. As of February 6, 2016, we will no longer be updating our blogger website. 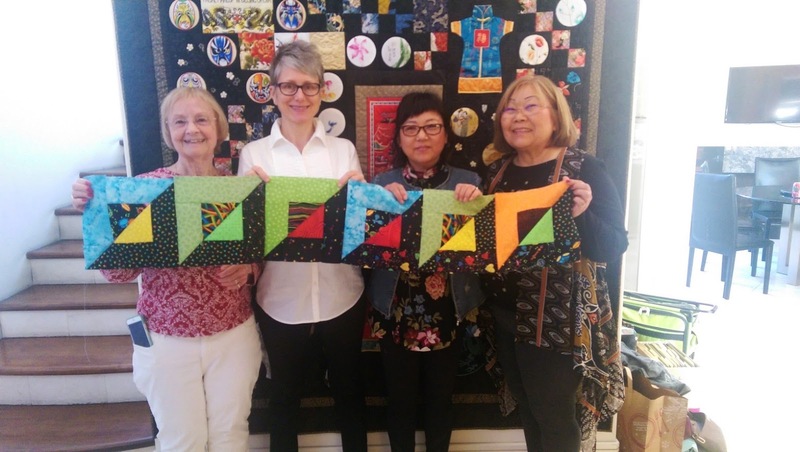 The new site will include the same features of this blog, but with additional content and connections to other Modern Quilt Guilds, local resources, and events. We will also start including more articles on the topics our members want to hear about most - MODERN QUILTING! In other exciting news - we are now on Instagram - follow us @OCMQG. 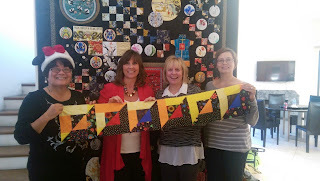 During January's meeting, we had two suggestions for doing a block or quilt of the month club. 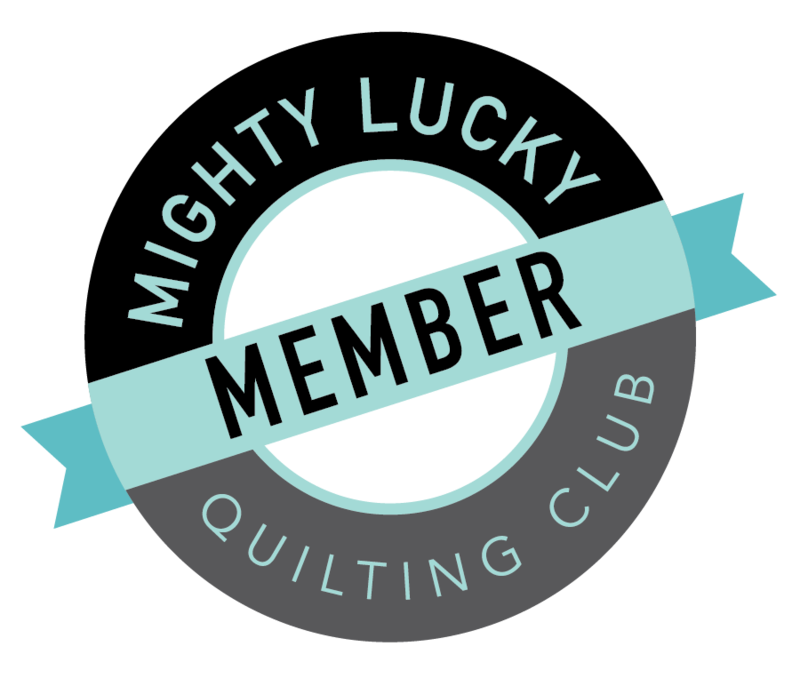 The first is through Lucky Spool Media called "Mighty Lucky Quilting Club." 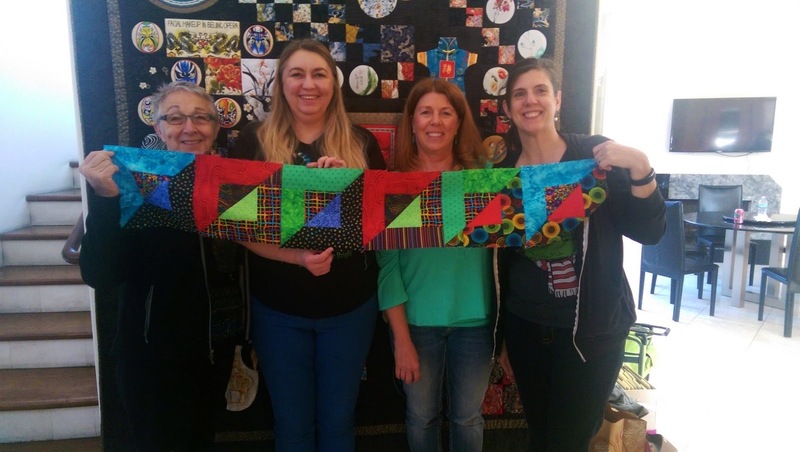 Just as with a “Mystery Block of the Month Club,” when you join the Mighty Lucky Quilt Club, you’ll receive a single challenge or project idea each month. 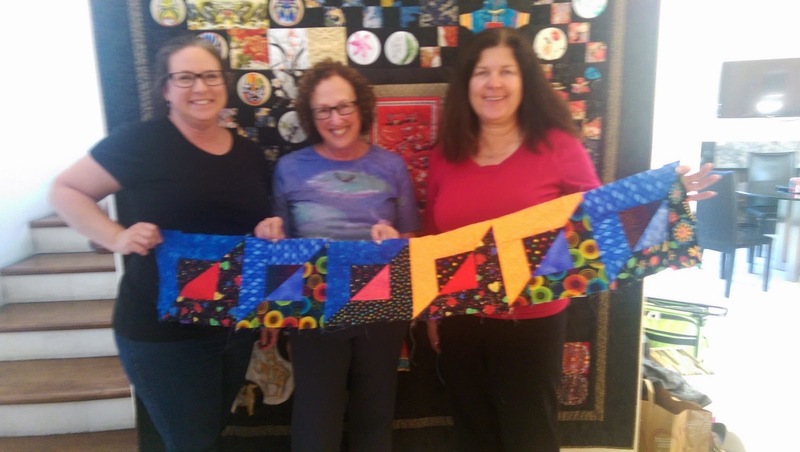 Unlike a mystery BOM club, though, these projects are focused on increasing your design skills rather than simply completing a specific block or section of a quilt. There is already an active on-line community using #mightylucky to tag their progress and share their success! Cost is $5/month or $50. If you are an OCMQG member, we may be able to get a discount. Please contact Lisa if you're interested. 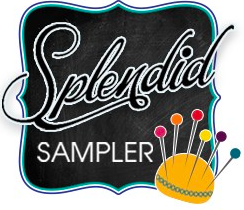 The second is The Splendid Sampler. As the project creators worded it: "The Splendid Sampler is a year long 100 block ‘Epic Adventure’ of quilt making." If you're up for a different type of challenge, why not check this one out and make it modern? This quilt along will have a Facebook group and will be using #TheSplendidSampler. This is a free quilt along - the first block is on Valentine's Day and goes through February 2017. They will be publishing a book in March 2017, so the patterns will only be free until then. What other quilt alongs interest you? Leave your comments below! Our first meeting of the year was held at Cecile’s Studio and was a rousing success. We had many members returning and new members sign up. Check our flickr link for the amazing quilts our members are working on or have finished. 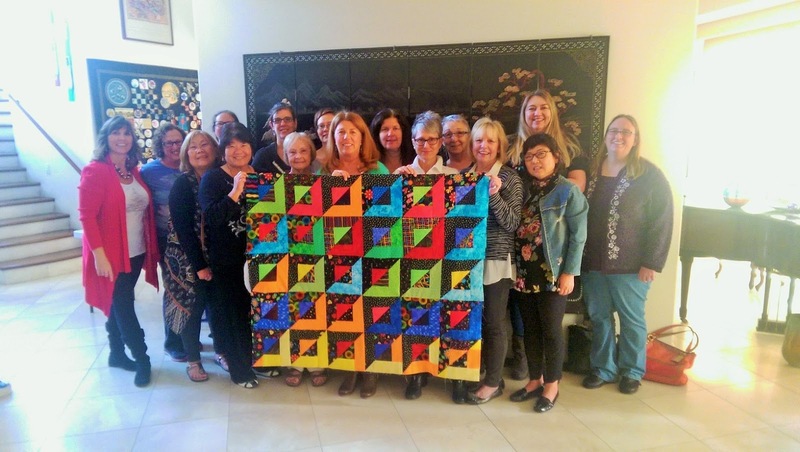 Thank you to JayBird Quilts and Elizabeth Hartman! for donating quilt patterns for our monthly raffle. 2016 Guild Challenge #1 - Due March 24th! Members present in March's meeting will vote on the quilts and the winner will receive a prize! How would you make these modern? Our holiday party yielded another great philanthropy quilt top in less than an hour. Thank you Kathy for the fabric donation and Sandy for the fantastic competitive activity. And Bunnie - thank you for hosting us. Fun was had by all. Our guild produced 11 quilts and 11 books for the Pediatric Cancer Research Foundation for our Thanksgiving Challenge! It has been suggested that we make this an annual philanthropy effort! Still looking for officers - Feel free to nominate yourself! Exciting things in the new year - Road in January and Quiltcon West in February! Our next sew is at Cosmic Quilting on January 10th ! 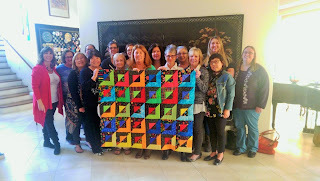 OCMQG goes to Temecula - Needle in a Fabric Stash! 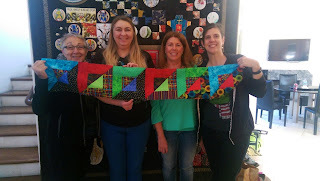 We had a GREAT field trip to Needle in A Fabric stash! It is a beautiful store with amazing fabric. We all came home with a lot of fabric for our stash. After 2 hours of fabric hunting and gathering, we stopped by a grabbed lunch and a cold drink! Thanks for to everyone who join us and making it a wonderful day.